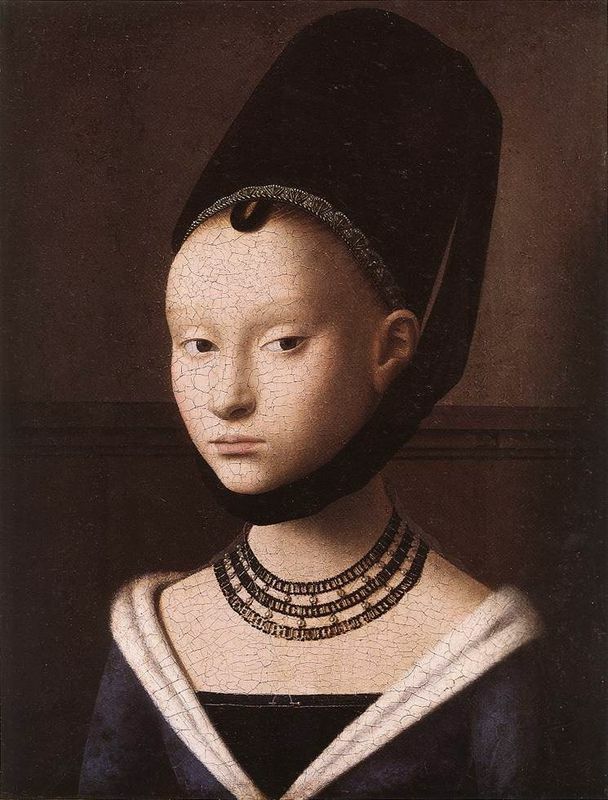 The girl in this painting is believed to be Vermeer's eldest daughter, Maria, who was about twelve or thirteen-years-old at the time it was created. 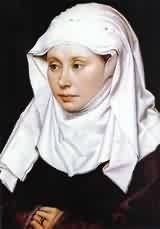 Her facial features appear in several of Vermeer's works but his various techniques on his subject make it difficult to compare the female faces in his paintings, as the woman are portrayed in different lighting conditions and poses. There is very little information about Vermeer and his paintings. Girl with a Pearl Earring is signed "IVMeer" but there is no date on this work. 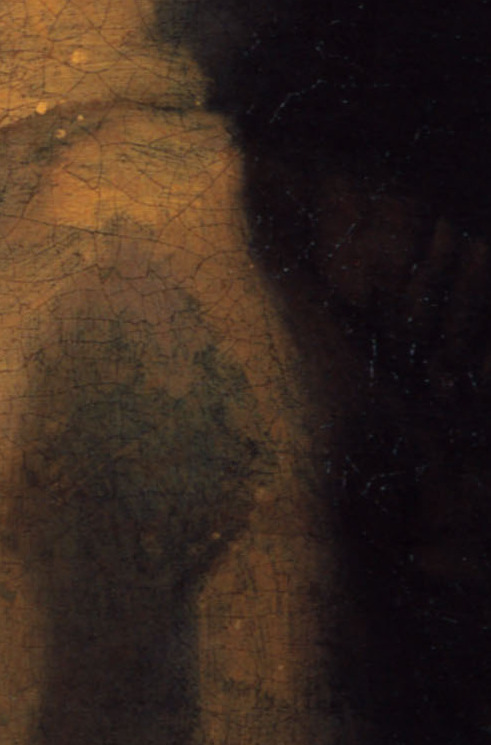 It remains unknown whether or not this canvas was commissioned and if so, by whom. It's more likely that this image was a tronie, Dutch 17th-century description of a 'head' painting that was not intended as a portrait. Girl with a Pearl Earring is one of over forty images of women created by Vermeer and thus it is obvious that he had a keen interest in women's socio-cultural roles. It could be argued that he valued their role in maintaining his idealist way of life by ensuring order within the household and raising children within Christian values. Therefore, women played a pivotal role in safeguarding tradition and moral values through the generations. 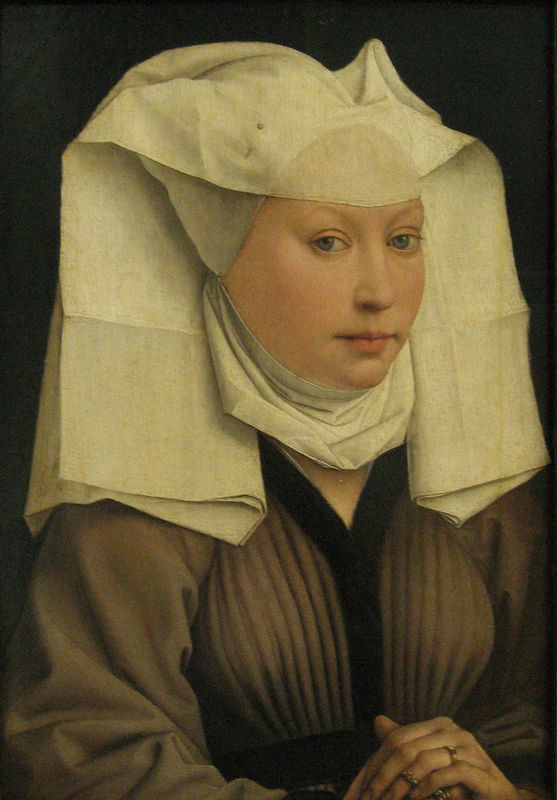 With this painting the viewer is captured by the subject and believes they have caught her attention and caused her to turn her head. 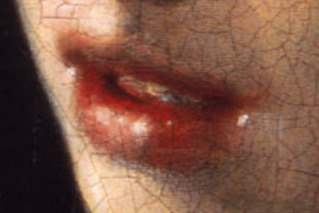 This is a sensual painting with the girl gazing at the viewer with wide eyes and a parted mouth and there is an air of mystery surrounding her identity. In 1994 this canvas was restored which involved removing the yellowed varnish along with the retouches that had been made during previous restorations. This resulted in the vivid colors originally used by Vermeer shining through and the intimacy of the girl's gaze was also greatly enhanced. The turban being worn in Girl with a Pearl Earring was a popular prop at the time and its elaborate folds and rich materials were a great way of showing off the artists' skill. The turban also demonstrates the influence of other countries as various slaves came to the Netherlands and explorers would bring back new exotic artifacts and inventions. 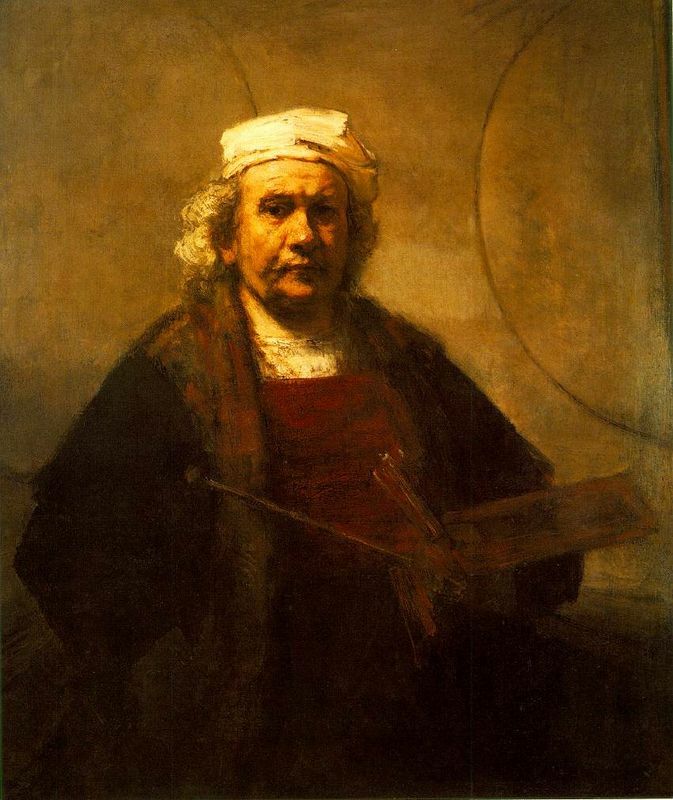 Rembrandt was the artist responsible for popularizing the tronie in around 1630 and so it's likely that Vermeer drew inspiration from his works. It's believed that Vermeer painted at least two tronies and an inventory of his possessions created shortly after his death listed 'Two tronies painted in the Turkish manner'. Therefore it's possible that Girl with a Pearl Earring is one of these paintings. Vermeer's intense use of his signature ultramarine can be clearly seen in this work. It is not only used in the top of the turban but also in the neck and end of the fabric hanging down the sitter's back. Vermeer uses his palette to the fullest and his skill in under painting creates an intense volume that has a three-dimensional effect. He uses a unique blend of creamier tones and pigments for the girl's skin so it has a sort of glowing effect in the light and contrasts with the background. Red and brown ochres are used to define shadows on the girl's skin to create depth and definition as the light source comes from the left frontal area. This also helps to accentuate the facial features and make them as realistic as possible. 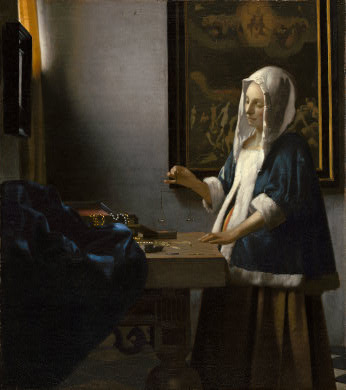 Vermeer uses the Dutch custom of a dark background which allowed the artists to create a three-dimensional effect of the highlighted subject. Dark backgrounds enabled the artist to be more flexible in their technique and gave them the freedom to play with various contrasts of lighting. Art historians have discovered that Vermeer used a green ochre tone as an undercoat in this painting which helped bring out the vibrant colors of the figure. The use of the camera obscura in this work enhances the lighting in the room and helps define starker shadows in the foreground. 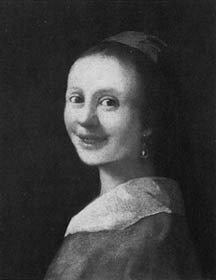 Vermeer used a sort of white-based lead undercoat for the subject which produced an intense shine in the finished result. 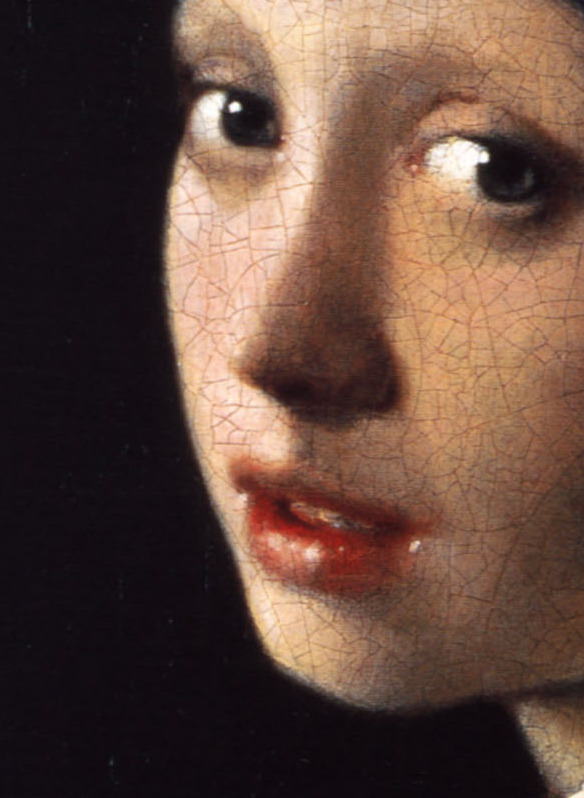 The camera also dramatizes the reflective surfaces such as the pearl earring, the subject's eyes and lips in stark contrasts that intensify their gleam. Vermeer uses many smooth brushstrokes in this work to create a clear-cut image defined by light and shadow. He also uses these fine strokes to characterize the clothing and skin texture. The strokes are linear and have strong definition. The undercoating for the girl's dress helps create depth and a realistic interpretation of the actual material. The final layer in the work is applied very thinly; this was possibly done to add movement as the light moves across the delicate material. 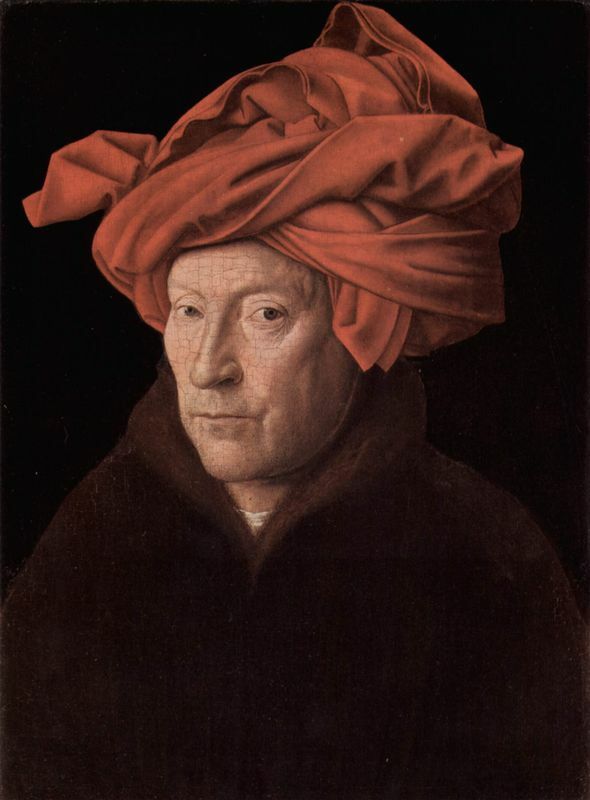 The turban is accentuated with Vermeer's trademark highlights. The pearl is also distinct in that it consists of just two brushstrokes. In 1937 collector Andrew W. Mellon donated a painting named Smiling Girl to the National Gallery of Art in Washington. 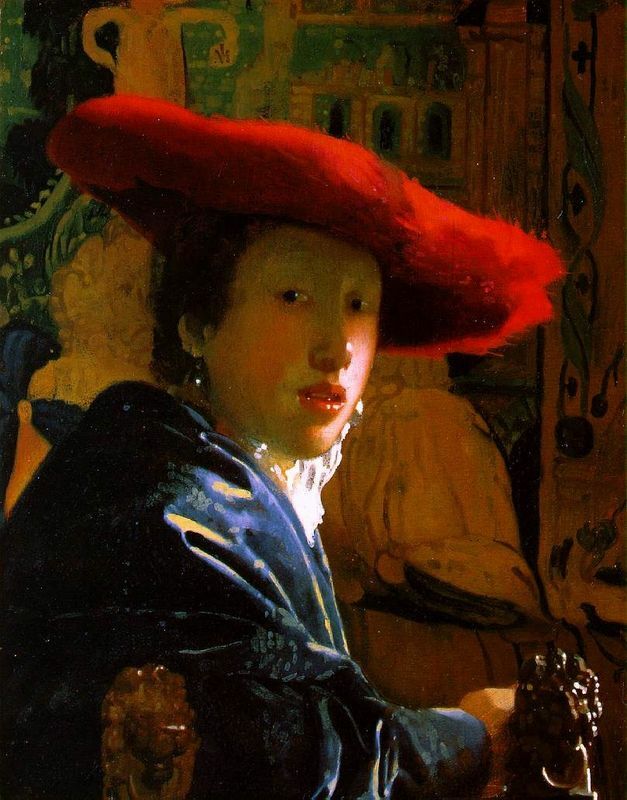 This canvas was believed to be the work of Vermeer but it is now considered to be a fake. Girl with a Pearl Earring was purchased by the art collector A. A. des Tombe at an auction in The Hague in 1881 for just two guilders and thirty cents. Although the painting was in bad condition and the signature was illegible it still attracted a great deal of interest. Upon his death in 1902 a will by A. A. des Tomes was discovered and in it he bequeathed twelve paintings to the Mauritshuis, including Girl with a Pearl Earring. Vermeer was a realist painter who focused on chiaroscuro and became a master of this technique. He delighted in the technicalities of the camera obscura and was an avid fan of using various lens and glass contraptions to discover new forms of capturing light in various contexts. Although Vermeer held nothing original in his artistic interpretation and subject matter, he was extremely skilled in creating superb pieces of art. He didn't create many self portraits, focusing instead on objects taking the viewer to the image as he saw it. Vermeer does not create a specific narrative in his works like his contemporaries but rather concentrates on the moment itself and the rest of the story is created by the observer. 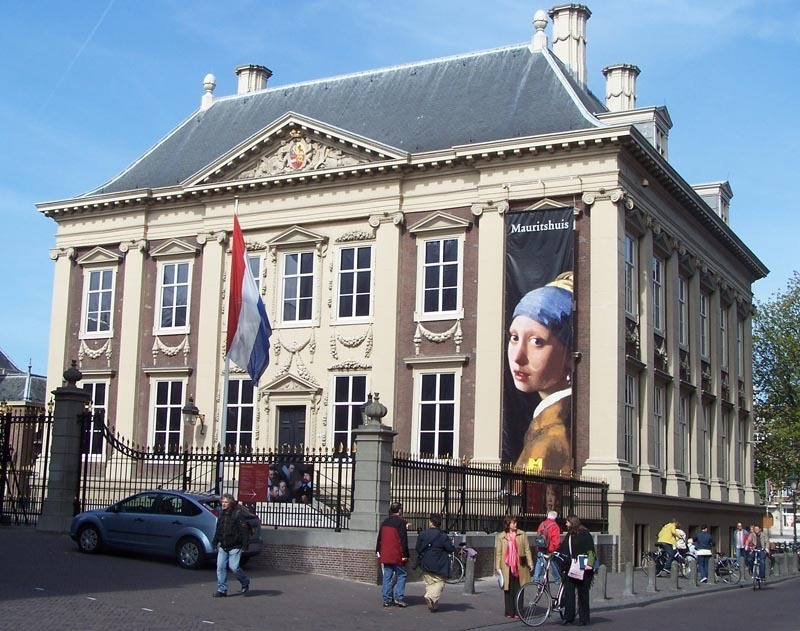 At the time Girl with a Pearl Earring was created, Dutch girls did not generally wear turbans. This leads art historians to believe that Vermeer intended to produce a tronie rather than a portrait. A tronie was a study of a head designed to represent a particular figure type and the girl in this painting represents an exotic, Oriental female. It's thought that Vermeer painted two tronies, as these were listed in an inventory after his death. Dutch Baroque has become the most noted era in art and it was the most lavish style in the history of Europe's figurative arts. Artists were able to freely choose their subject matter and how they wanted to express it and this resulted in artist excelling in creating new art styles and techniques. Baroque art came into play at a time when the foundations of capitalism were being laid by the world's growing economies and art was expanding in new and exciting directions. New national schools were opening across Europe but there was already a dominate style, spearheaded by great masters, such as Caravaggio, Poussin, Bernini and Rubens who provided inspiration for many emerging artists. Vermeer was an idealist who strived to bring out the beauty in the most mundane aspects of daily life and his unique skill made him a leader and revolutionary of the Baroque era. To read more about Vermeer and his work please refer to the recommended reading list below.